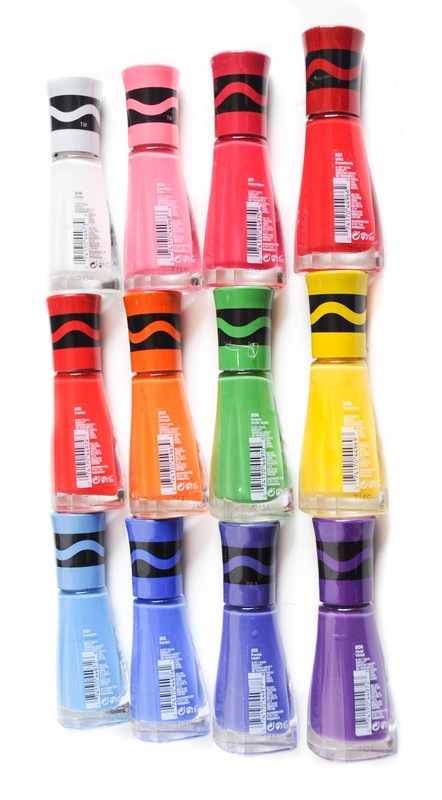 The Crayola Sally Hansen limited nail polish line came out in July 2017. Crayola also collaborated with Clinique this year to come out with Clinique Crayola chubby sticks. This is not the first time nail polish has been made with the Crayola name, but it is the first big collaboration they have done for nail polish. Click here to find at Target. I could not wait to get the nail polish. I went to five stores before I found it. I finally was able to order all but one color on Target. I was finally able to find the last color in store in Target. 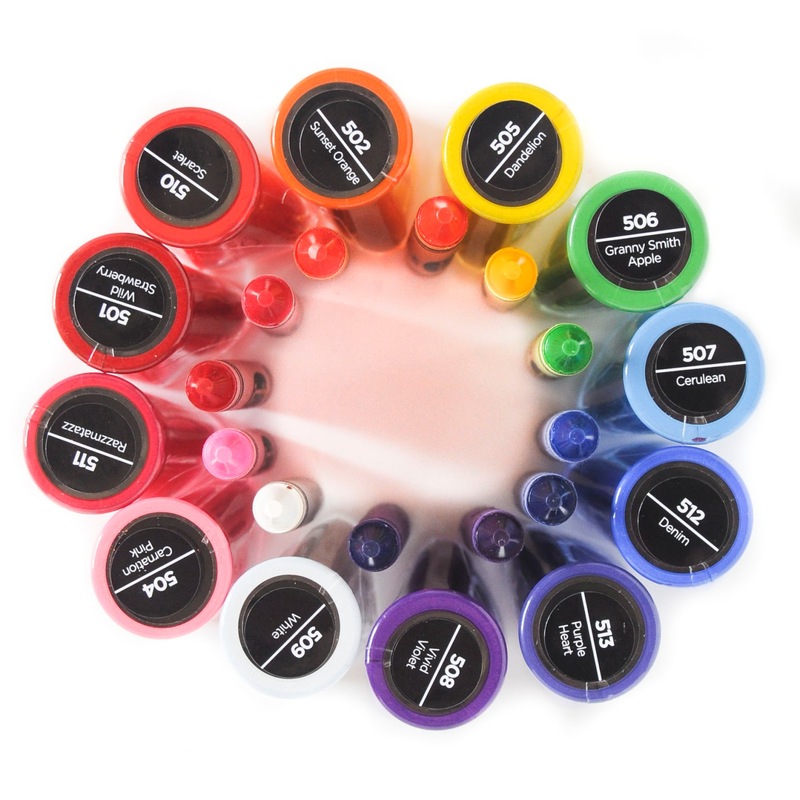 The colors in the set are: Razzmatazz, Wild Strawberry, Scarlet, Sunset Orange, Dandelion, Granny Smith Apple, Cerulean, Denim, Purple Heart, Vivid Violet, White, and Carnation Pink. This is a super fun set line of nail polish. I love all the colors they chose to include and the colors really match the set. I was able to find all the corresponding colors in the 120 count box. What do these look like on nails? Thanks to Amy Romero we get to see a professional paint job of these nails (much better than I would do). 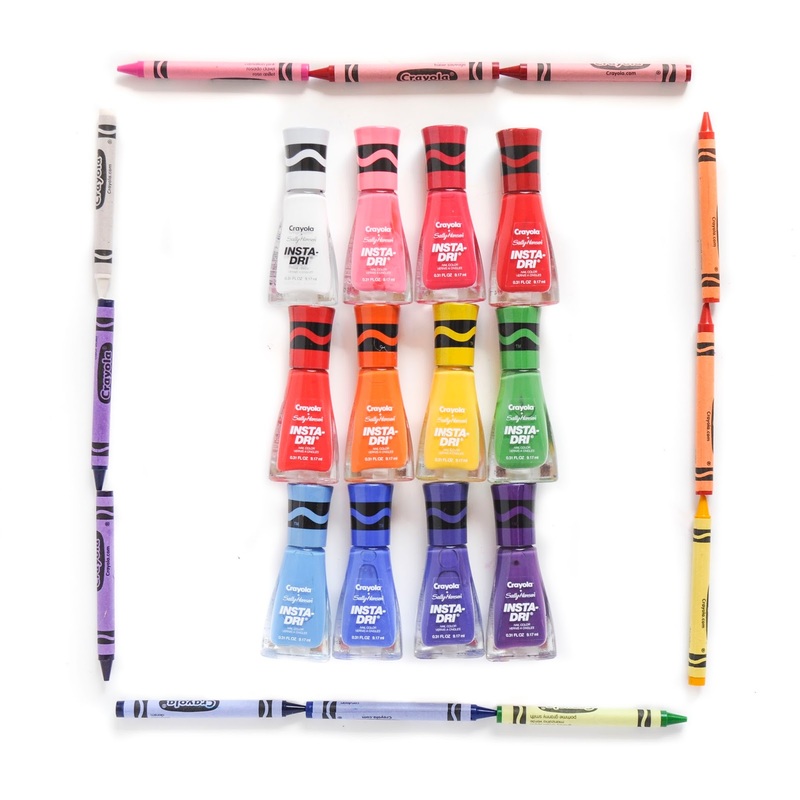 The colors are very true and match the crayons very well. Check out her Instagram to see more of her amazing nail art. 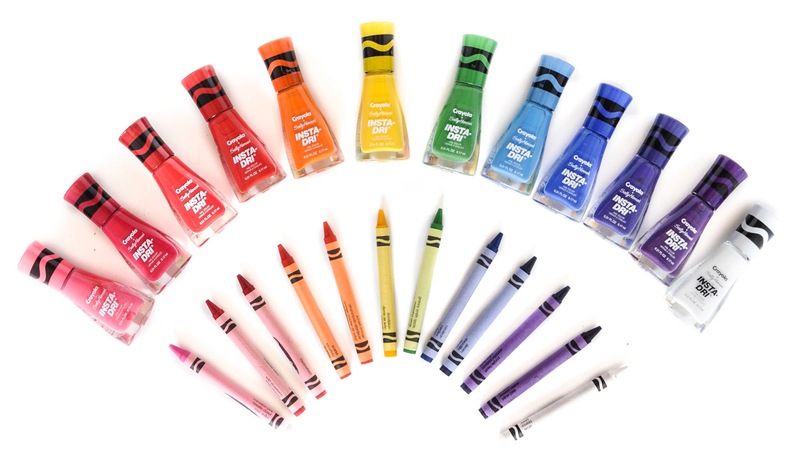 Other related items: Crayola has made nail polish in the past. This is the first big collaboration. This print is super tiny you wouldn't believe. I had a hard time even reading the bottle.